If you want to ensure reliability and performance of your septic system over the years, you need to have it maintained on a regular basis. 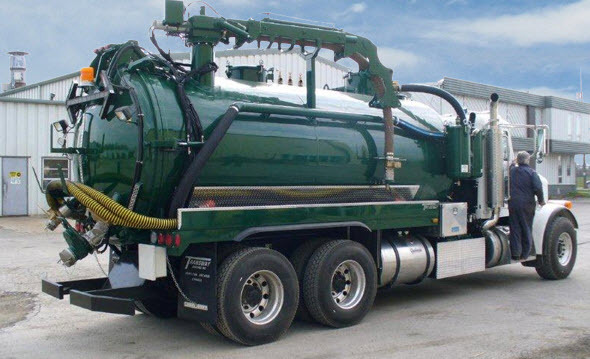 At Septic Zone, we are completely dedicated to our customers and promise you competitive rates while maintaining high-quality customer service. We have been in the septic business for many years so we know the ins and outs of what makes the septic system perform the best over a number of years. Our recommendation to all home owners that utilise septic system is that they have them serviced and inspected every second year so that they remain working optimally. Three years would be the absolute maximum that we would recommend between servicing. 2 Septic Zone operates nationwide but provide quality customer service similar to that of a local business. Over the years we have witnessed many septic systems failing and we have deduced that it normally happens because people do not understand the warning signs of system failure. This is why getting a professional contractor in to have your system tested and inspected regularly is extremely important. Employing someone who knows septic systems inside out means they can see the warning signs and resolve any problems before anything major happens. They will check the condition of the components of your system and tank, and they can offer advice on how to run the system better. A number of different issues have to be taken into consideration when you’re deciding how often you need to pump out the septic tank and system. These can include how big your septic tank is, how large your leach field is, how many members of the household there are, what your average water usage is, and whether or not you are treating your system well overall. Septic Zone operates nationwide but provide quality customer service similar to that of a local business. Septic zone Provide very reasonably priced pump outs for your septic tank and for all the different other types of systems available. We treat our valuable customers with honesty and a high level of customer care so much so that we mainly operate on family and friends referrals. Our customers come back to us year-on-year as they know we are the best in the business. If you have problems locating your tank and we can do for you using specialist non-invasive equipment and we can also check your sewer lines and leach fields for problems so that we can pre-empt any major catastrophes. Vast experience and knowledge of different septic systems mean we can offer reliable services to the customers that are experiencing problems, and we could diagnose problems with your system quickly and effectively. We are happy to offer you any advice we can to help you run your system efficiently and we pride ourselves on our competitively priced services. We offer 24/7 emergency services. Visit this page for our other services.